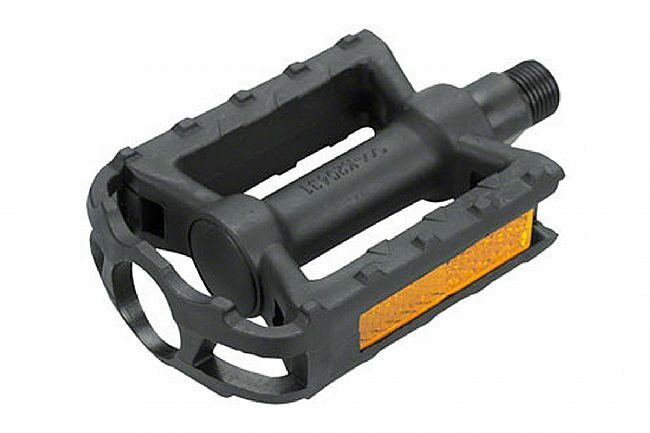 The Dimension Junior Pedals are constructed of durable nylon with a 9/16-inch chromoly steel spindle. The platform, measuring 80 x 60mm, has built-in reflectors for enhanced safety in low light. Claimed weight is 304 g / pair.